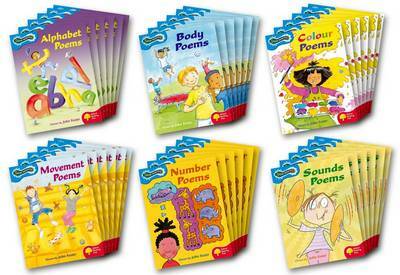 This poetry selection has been chosen to match topics relevant to this age group. The poems are completely independent of other Oxford Reading Tree Stories, but can be introduced alongside storybooks at Levels 3 and 4. Available as a mixed pack of six different books or as a class pack of 36 books. Help with children's reading development is also available at www.oxfordowl.co.uk.